GRK R4 self-countersinking screw has a new under head with saw-blade like cutting teeth and six self-contained cutting pockets. Together these features act like a circular saw blade, transporting the "drill dust" away from the edge of the screw hole while cutting a perfectly clean hole into even the most brittle materials without cracking any surface treatment. This design further enhances the R4's versatility by allowing the fastener to be installed without countersinking into even the hardest woods. 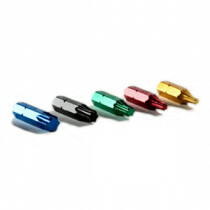 The screw head closes the hole off with precision, leaving no damaged fibers around the head. R4 screws which are 2" and longer have a four threaded CEE thread that enlarges the screw hole for the non-threaded portion of the fastener. This technological advancement allows the wood to settle easily and increases the screw's drawing strength, reducing the friction on the screw shank and lowering the driving torque. The R4 is a multi-purpose screw that can be used in all woodworking and plastic applications. Because the head has a 90 degree angle at the underside, the screw fits perfectly into the pre-countersunk holes of hardware fittings such as hinges or locks. 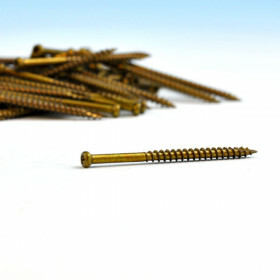 Stocking of different screws is no longer necessary because the R4 is a very versatile screw. 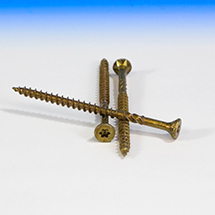 These screws work great in wood, plastic, particle board, sheet metal, cement fiber board, composite decking, wood decking, melamine and much more. Screw Length 1-1/4", 1-1/2", 1-3/4", 2", 2-1/2" 2-3/4", 3-1/8", 4" and 4-3/4"
GRK Fasteners feature exclusive weather sealant and require no pre-drilling to exceed expectations without breaking the bank. 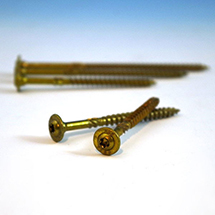 Founded in 1990, GRK Fasteners produces unique, high-quality deck screws for use in wood, metal, and concrete projects. 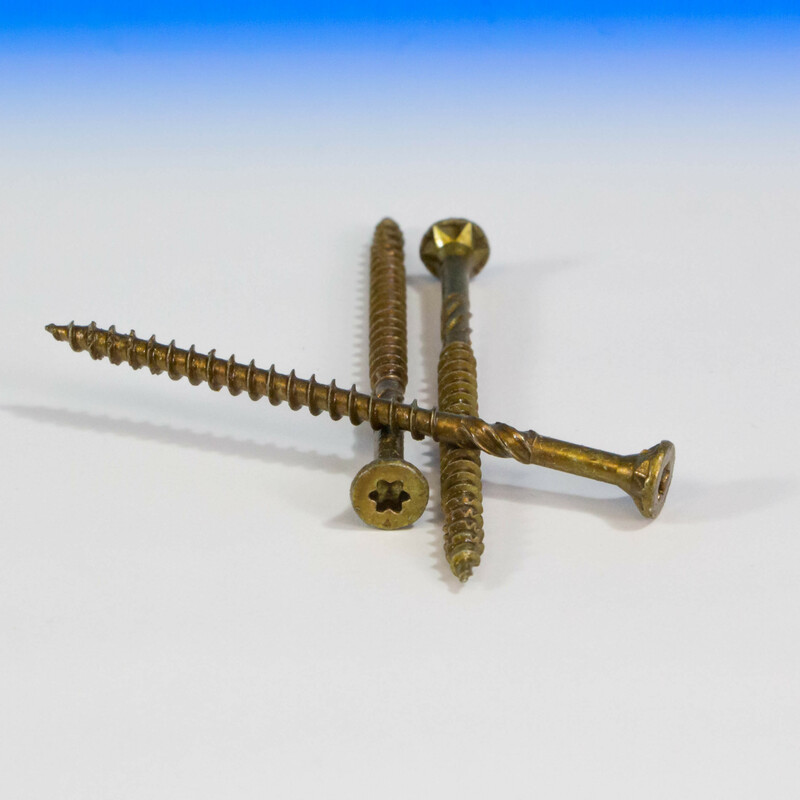 GRK Fasteners offer unmatched versatility, from the tiniest trim screw to extra large structural screws. Each item goes through GRK's exclusive Climatex three-coat process, protecting the screws from rain, snow, cold, and heat. 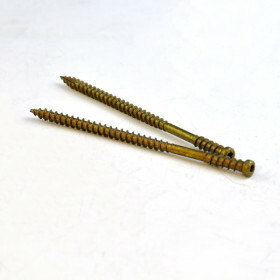 GRK Fasteners are often the top choice for builders as their products are dependable and innovative, available here at DecksDirect.com.